Visit us at the 2019 Energy Tech Showcase on May 7 in Denver. Our product was chosen for the 2019 SPIE Showcase Photonics Innovations. 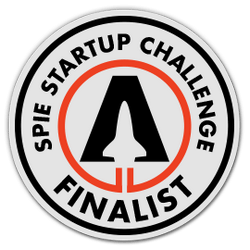 Kaia was one of the semi-finalists at the SPIE Photonics 2019 Startup Challenge. Kaia presented as one of the finalists for the 2019 Luminate, World’s largest startup accelerator for optics, photonics, and imaging enabled applications. Kaia was awarded by the Department of Energy STTR Program in 2017 & delivered the proof of concept successfully in 2018. In 2017, Kaia was invited to participate for the Flow and Transport of Hydrocarbon Fluids in Nano-Porous Reservoirs Project to understand mechanisms associated with n-pore size environments by the Colorado School of Mines Unconventional Reservoir Engineering Project (UREP) Consortium.